Magic duels are the way to solve any dispute in a kingdom conquered by the cruel witch and her minions. Every monster you encounter will challenge you, but the power of spells will help you destroy the enemy. Master and improve the destructive power of the spheres and you will become the most fearsome mage ever! Now is not the time for mercy. It's time to eradicate the evil! Features: - Win duels. Master the ancient power of magic spheres! - Develop your hero. Level your mage up to Legendary! - Upgrade your spells. Improve your magic skills from duel to duel! - Meet extraordinary characters. Be prepared to find very unusual allies. 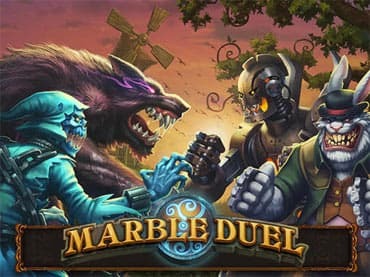 If you have questions about Marble Duel game, please contact us using this form.